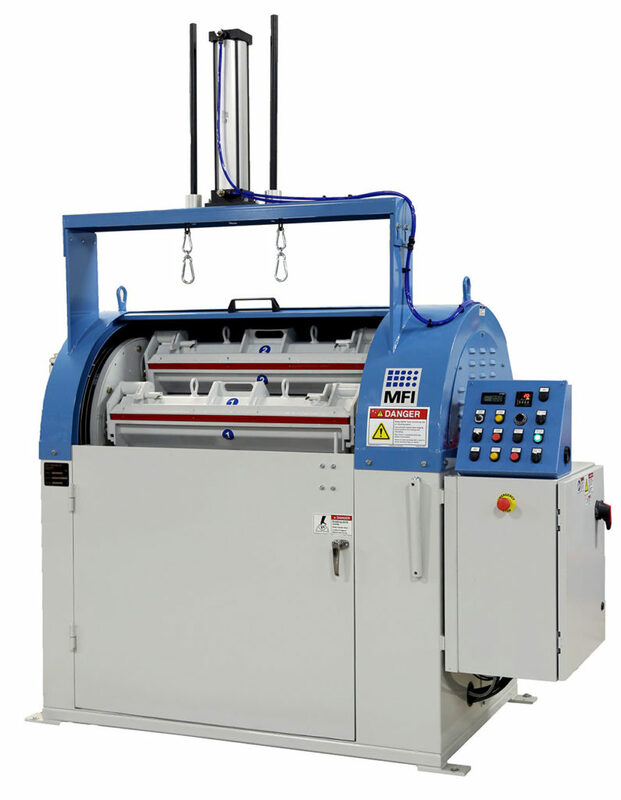 L x W x H: 75"x39"x94"
The HZ-85 is a full sized industrial finishing machine. 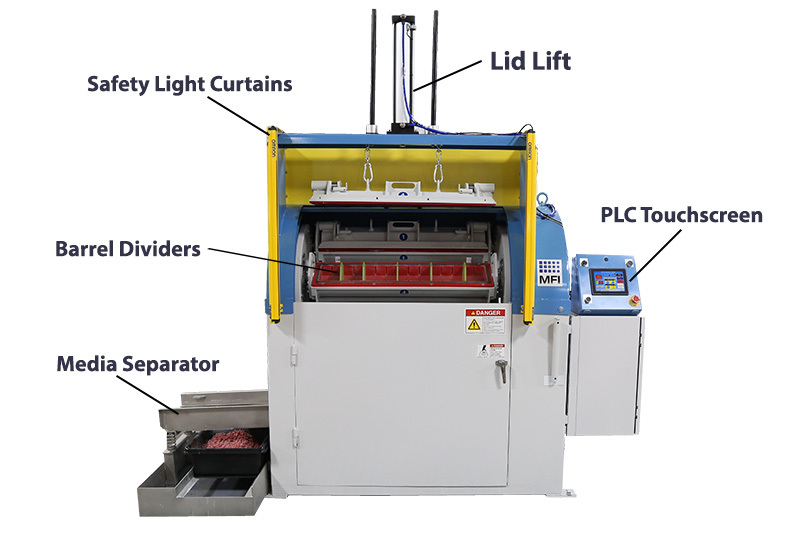 This CBF machine can be fully customized with a touchscreen control panel, parts separator, drain pan and infrared safety curtain. HZ High Energy series Centrifugal Barrel Finishing (CBF) systems from Mass Finishing are the fastest and most economical form of finishing machine available. 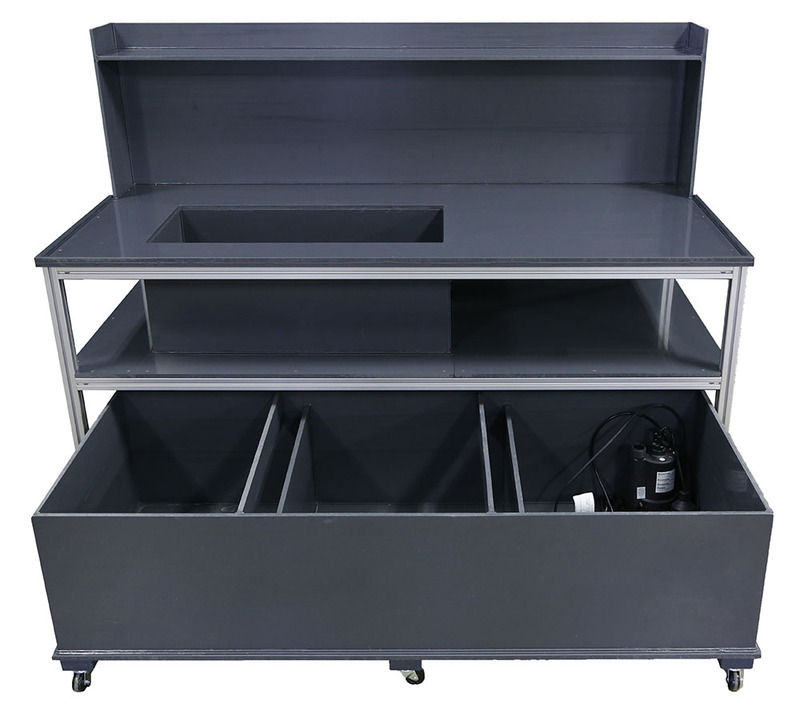 They are the industry workhorse in polishing, deburring and deflashing parts. From jet engine blades in the aerospace industry to heart valves and medical implants, these tumbling machines are the versatile and money-saving solution for polishing and deburring. With the included barrel lid-lifting system, you can easily lift off your barrel lids. 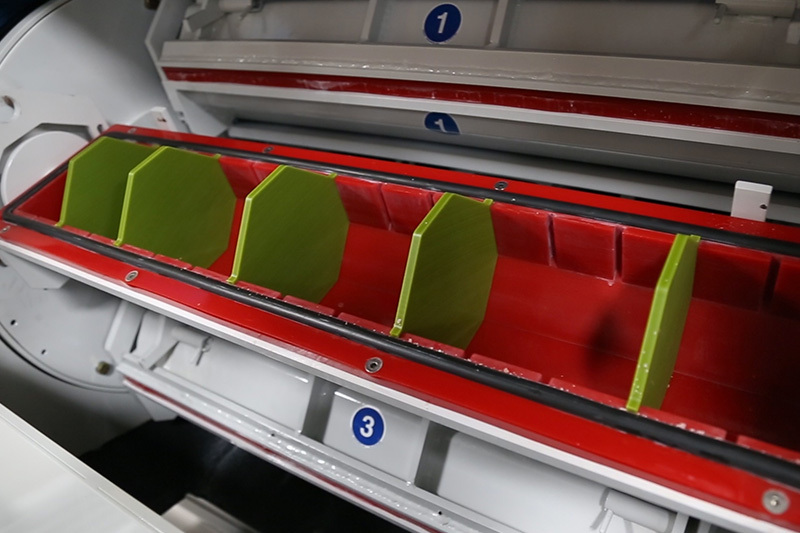 This eliminates the need for excessive force when loading and unloading the machine. In a matter of minutes this deburr tool can clean up metal, acrylic or rubber parts are finished in what could take hours or even days by hand. The finish achieved by these machines is isotropic, meaning parts are polished uniformly and evenly, something that cannot be achieved by hand. 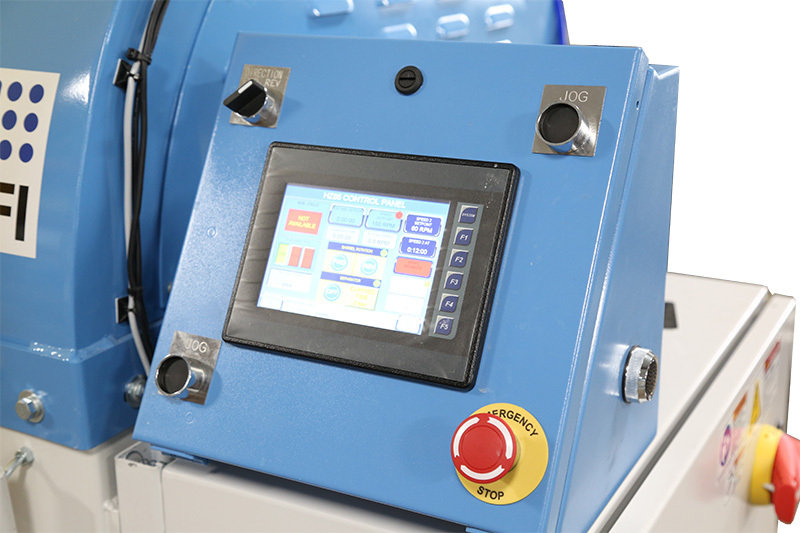 Variable speed control allow these tumbling machines to achieve whatever finish the operator desires, from a simple polish at low speed, to full scale deburring and edge radiusing. · 3 phase, 60 hertz. Centrifugal barrel finishing machines operate on the “Ferris Wheel” principle with a one-to-one ratio of barrel rotation to turret rotation. Each of the four barrels is loaded to roughly 50-80% full of media, parts, water, and compound. During operation, rotation of the turret creates a sliding force inside the barrel. This motion causes parts and media to contact each other in random or isotropic directions. The resulting finish is consistent across the entire surface of the part. MFI provides complete sample processing and stocks all required media and supplies. 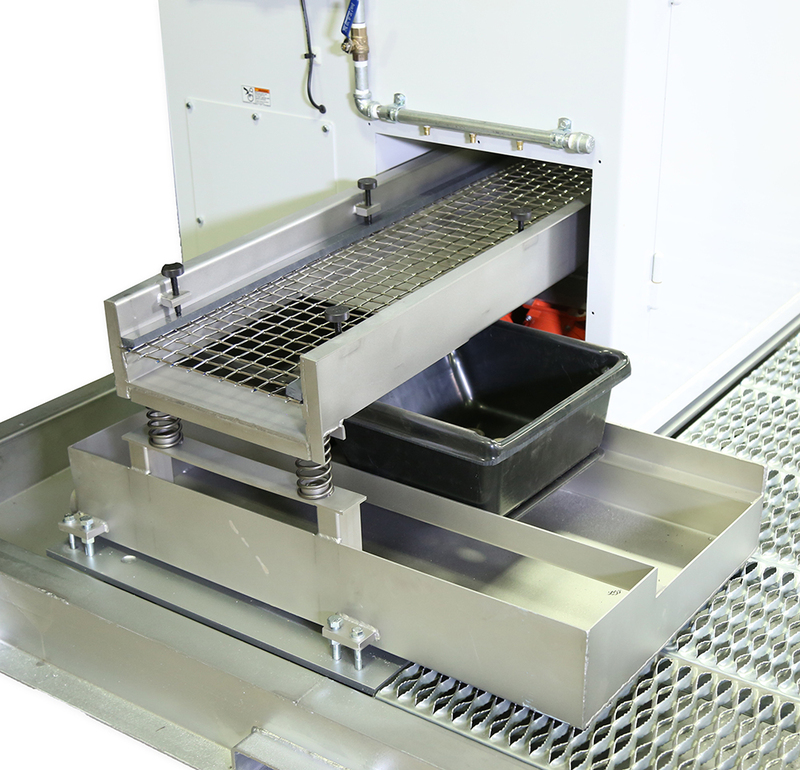 Make the media and part separation process simple by adding a vibratory media separator. 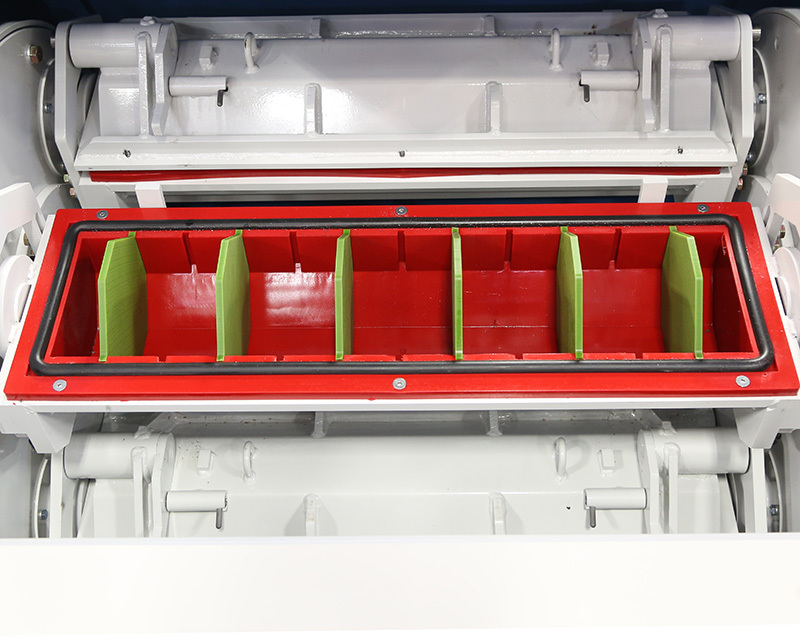 Rotate the barrels to dump media and parts onto the vibratory screen and watch as the media and your parts separate. 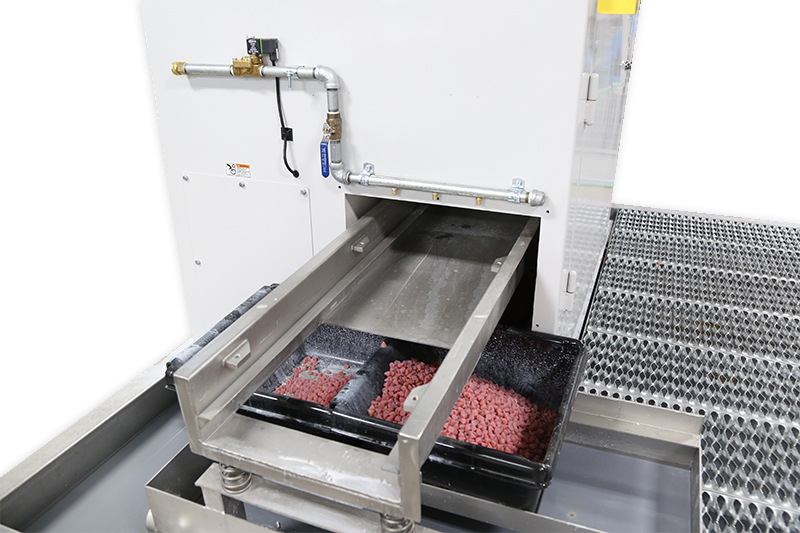 Reduce the mess from the process with MFI’s processing table and sludge tank. Sediment from your tumbling process is collected and easily cleaned out. Store processes as recipes in this PLC touchscreen interface. 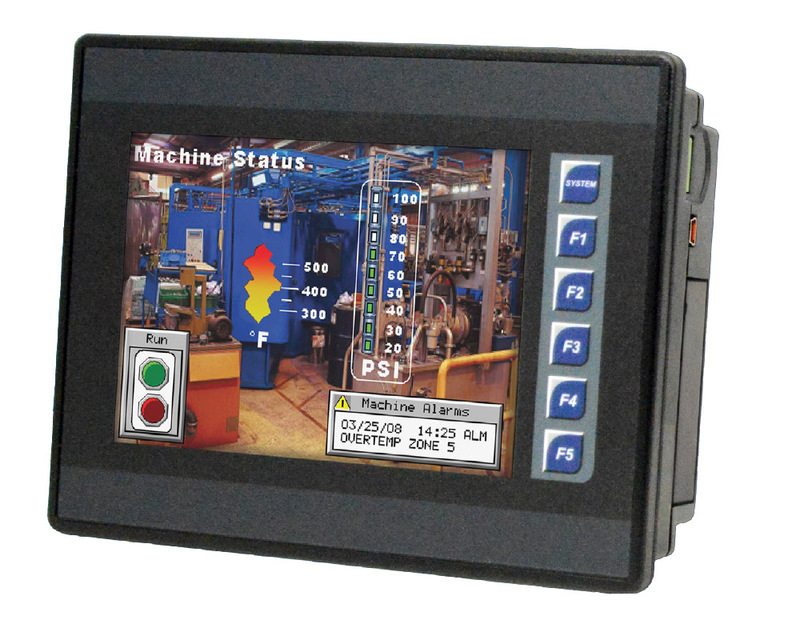 This unit replaces the analog cycle start buttons and allows for better monitoring of machine use and time. A unique feature with barrel tumbling is the ability to create small separate chambers within each barrel. Dividers help reduce part-on-part impingement.